We are extremely involved in providing a quality proven spectrum of Wooden Bathing Brush. Description Many senior citizens find it difficult to reach and scrub their back, legs and feet while having bath due to stiffness of muscles and decreased flexibility. 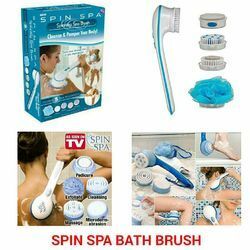 This soft bristle bath brush can help in reaching hard to reach places and is effective in removing dirt and dead skin cells. 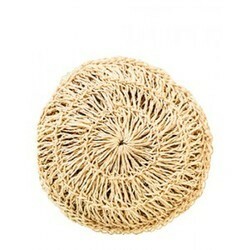 Ours is a prominent firm immersed in providing Bath Sponge which can be availed at budget affordable price. Specification : Standard type round type & back scrubber in various colour. It is made from Ramacham , a fine ayurvedic plant. It gives very good feeling for bathing. Riding on unfathomable volumes of industrial expertise, we are providing a broad array of Braided Bath Sponge. - Everyday we shed 4% of our skin cells. It is a natural, regenerative Process. If the dead skin is allowed to remain, it settles as a thick layer and is impervious to moisturizers. Transform daily bathing rituals in to home spa treatments. For gentle cleansing, choose our natural sea sponge or our double-faced bath mitt. To stimulate and tone your skin, use our longhandled body brush with cactus bristles.